The Promise of Sanat Kumara for Deep Meditation upon his Musical Keynote of Finlandia. Song: Finlandia, tone poem by Jean Sibelius. The Lord our God is a consuming fire. Blessed be the God of Israel I AM THAT I AM in the pure Son of Sanat Kumara. I AM the incarnation of the Word and all that I AM is your destiny and your heritage to fulfill. Children of the one God, be still and know that I AM God. The I AM that is in you is the summoning of cosmic forces for the victory of Light, for the victory in this fight for freedom. With the absolute God-determination of the evolutions of Venus and of the cosmic council, I stand before you in the flaming consciousness of Victory–Victory in the heart of the Great Central Sun, Victory in the heart of the earth! I AM the fullness of that Victory and I come this day with great joy in my heart, the joy of a little child who has been granted a favor by the Father. And the favor that I have been granted this day is that the cosmic council and the Lords of Karma have decreed that I might be allowed to tarry in earth for certain cycles of manifestation for the absolute return of freedom into the hearts of the lightbearers of earth. The Lord God Almighty has heard your calls and he has placed his answer within my heart. He has heard the crying out of the souls of his heart, and unto me he has said: Go forth, my beloved. Go forth now with a mandala of thy people and be the forcefield in earth in the heart of the Mother and her children whereby the lightbearers of earth shall be magnetized to the center of the One, I AM THAT I AM, and to the center of the Teachings of the Great White Brotherhood at the hand of my Messenger. 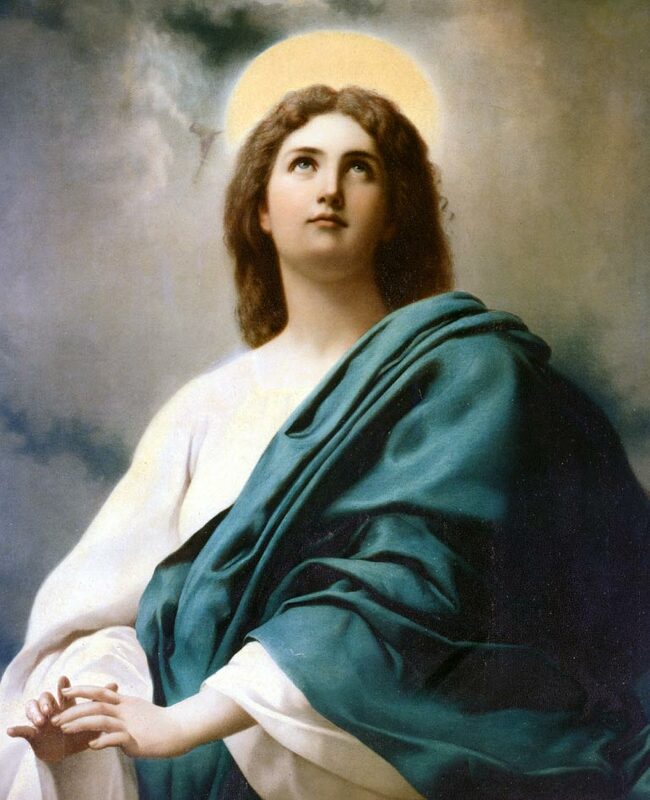 And in that body temple is the original blueprint, the soul design for every son and daughter of God and the children of God who have come forth, for it is the desire of the Cosmic Virgin that none of her children should be lost, none of her sons and daughters. 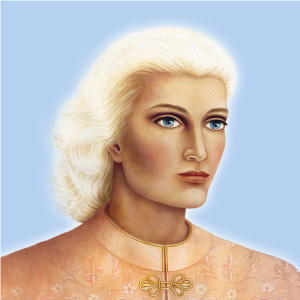 Thus, I join Lady Master Venus, who has been tarrying with you these many months, and we together, focusing our twin flames in the Holy City, will stand for the triumph of the Community of the Holy Spirit, which must be manifest as the key to the release of light in this age. Beloved ones, I transfer to your heart now the burning of a God-determination that carries, as the mighty light rays of God’s will from the heart of the Great Central Sun, the God-determination that earth and her evolutions shall go free in this age. Feel that energy transferred to you now from my heart. It is a living witness of millions of angelic hosts, who are meeting the challenge of the forces of Darkness who are moving their ploys across the earth, even within your very own nation, to destroy to the uttermost every trace of true religion and true light. This is the Word of Almighty God this day. I AM the Keeper of the Light of Israel. I AM the Keeper of the Flame. I stand with every Ascended Master and Cosmic Being this day and I stand with every Keeper of the Flame and lightbearer to deliver the cup of Christ consciousness and the energy unto the Victory. Therefore, fear not. Fear not, O daughter of Zion; fear not, O souls who would be free. It does not matter what you have been, it matters what you shall be from this moment hence. Therefore, I say in the words of Gautama, Go be. Be the allness of God and let nothing else occupy your temple or consciousness. I make you a promise: If you secure the orchestration, the recording of the music of my keynote Finlandia and if you play it each morning, you will have transferred to you by that music the intense forcefield of my cosmic consciousness of Victory, Freedom and God-determination. After all, the Law has proven and the record has shown that he who has the greater God-determination is the victor in every battle. Therefore, let God-determination be upon you, be in you and be unto you the vision of the All-Seeing Eye of God. For his eye is upon his people and everyone in this and every nation who will open his heart this day to the living God will receive a ray from my heart for the reinforcement of their threefold flame and their Christ Victory. Let the word go forth, then, that the Ancient of Days has come for the fulfillment of the prophecy of love, that Love has come to earth and with this band of sons and daughters of liberty we intend, by God, to have our Victory! Legions of Mighty Victory descend into this forcefield! Lo, beloved ones, I have designated that every son and daughter of God on earth and every child of Light who keeps the way of the Law of God will have placed over his consciousness and body temple in this hour a replica of the focus of the secret love star. 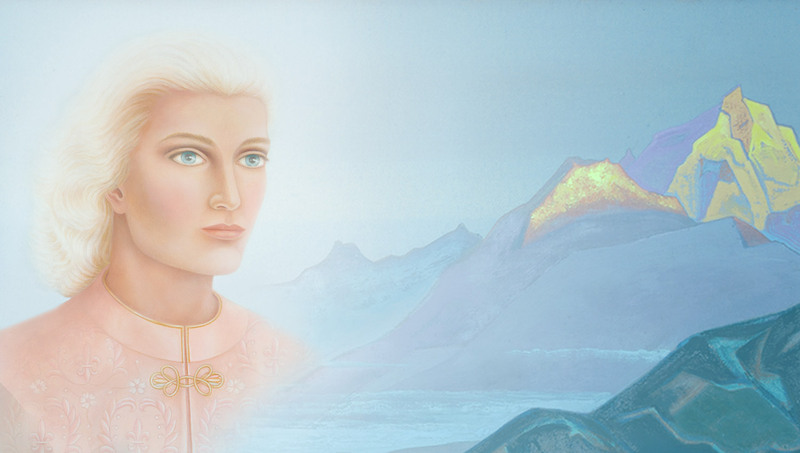 That forcefield–those points of dazzling white light, pink light, golden light–will now be unto all lightbearers a focal point for the stepping down of the energies of the Causal Bodies of the individual and of the Seven Holy Kumaras. 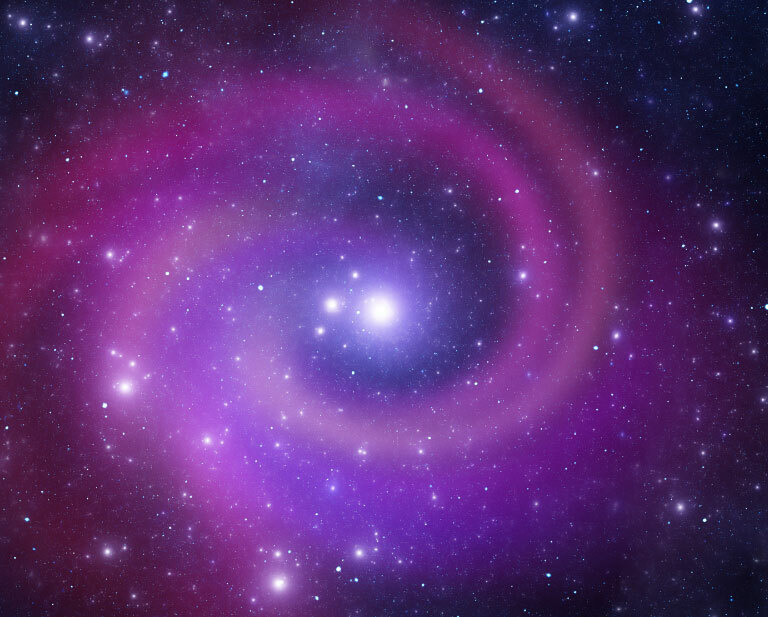 This forcefield is for the multiplication of God-power unto those who use that God-power with wisdom and love. Therefore it is a focus of the power of the three-times-three whereby every effort, every challenge, every deed done for the victory will be multiplied by that power of the three-times-three, by the energy of the Holy Spirit, so that you will know that you have the strength of ten because your heart is pure. The power of the three-times-three equals nine, plus your own makes ten. Thus the power of the ten is the holy innocence of the Holy Innocents. Thus do I speak this day. Almighty God, as a flame of God-consciousness, dwells in you and is in your midst. Therefore the smoking and the burning and the energy of God is come unto this tabernacle and I consecrate this altar as the altar of the people of Israel. You will see that the accouterments here are very much a replica of those that we have in our home on Venus. Therefore we are very much at home here, for you have outpictured the innermost secret chamber of our heart where we have an altar of meditation. 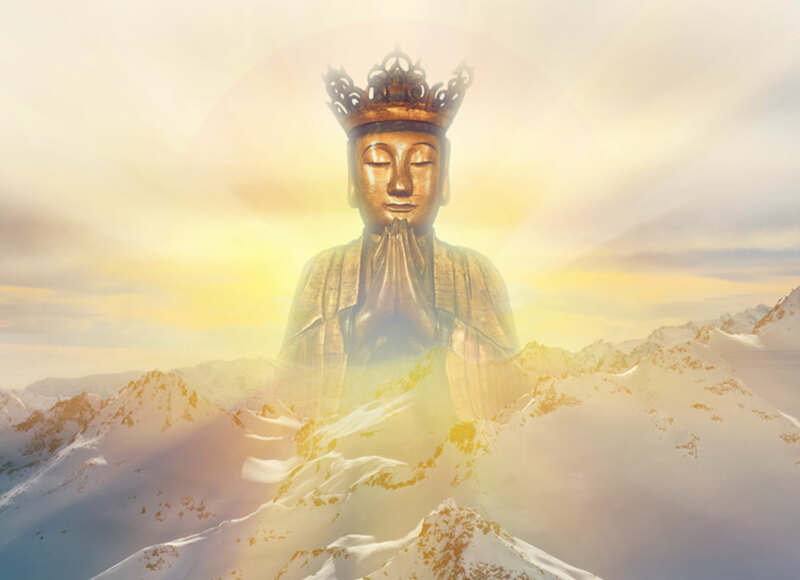 Our focus is of Gautama Buddha, the first devotee, the first fruit among earth’s evolutions to rise into our consciousness of Nirvana, there to discover the great cosmos, the origin of all worlds within worlds and the great cosmic power of the universe. Thus, we bow before the flame of the disciple become the Guru, become the Lord of the World. 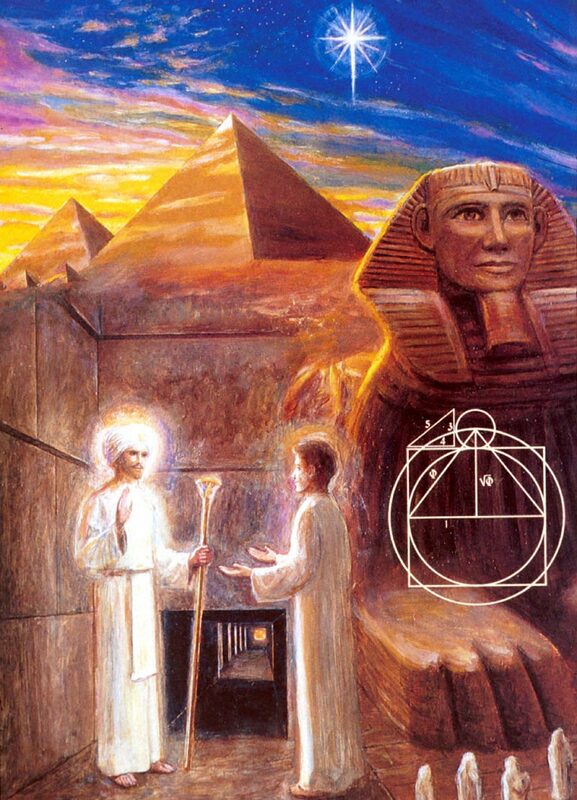 Blessed ones, the path of initiation is an open door, and that open door is one that leads to other open doors. And if you are obedient in small things, God will make you a ruler in greater things. This is the way of the overcomers. My blessed hearts of love, there is no separation between my heart and your heart, for I love you with a love, a passionate love, of Father, of friend. I AM devoted to your Victory and therefore I hold you in my heart and in your heart I AM the seven flames of the Holy Kumaras. We are one in the truest, innermost sense of the word. O hearts of fire, be not alone but be all One. For truly, this is the hour and the moment of thy soul’s communion in the fires of the ascension, in the glorious destiny you have attended for thousands of years. Now, in the hour of the coming of the Cosmic Virgin, who will come by and by to place her crown upon your head, will you not remember that this calling and this precious moment is worth your all? Beloved hearts, whatever seems to be the demand upon your time and space, set it aside for another life, another moment, another point in eternity. For now I say, now is the summoning, now is the moment of deliverance and every hand and every heart must be one that this victory might be apparent and be made known. Let all the earth hearken unto the coming of the Son of Man. As the tribes of the earth do mourn, so let the tribes of Almighty God rejoice. Let this nation be covered with the knowledge of Almighty God as the waters cover the sea. From east to west, from north to south, let it go forth as a mighty shout, the I AM THAT I AM. Let it go forth. And let us hear the spoken Word of the decree, the fiat, the mantra, the affirmation. Let us hear it, let it cry out and let us know that this people has arisen at the call of the sons and daughters of God and that America shall go free. 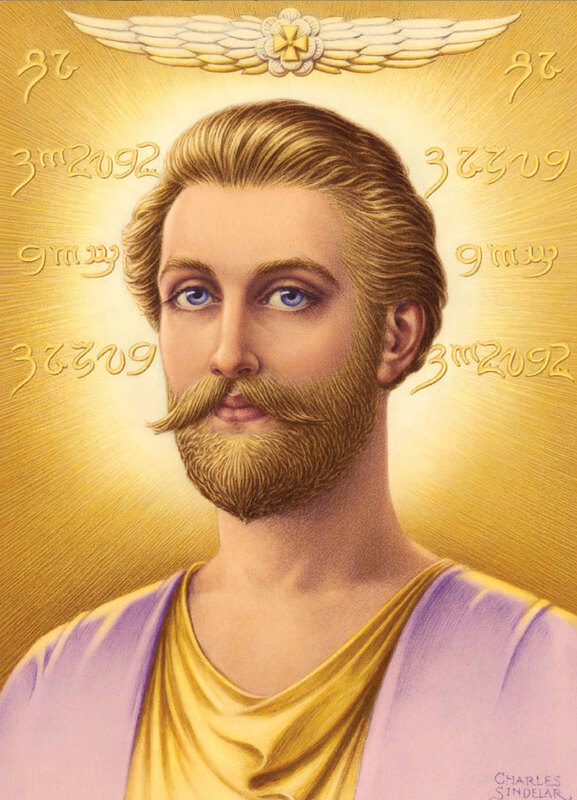 Beloved ones, with beloved Saint Germain, my son, I have set the alchemy for the deliverance of America and every nation. This alchemy I transfer to you through the point of the secret love star. Go, then. Be a point of that alchemy and watch how God will work his work through you in this age. Understand that this is the moment when the Lord must have in you a body, a heart, a soul as well as your youth, your energy, your love and above all your voice. Let it be the voice crying in the wilderness; and then let that wilderness blossom as the rose, and let the desert places bloom forth with a chorus of the victory and the full flowering of the understanding of the Word. By your acceptance of the alchemy of this prophecy, so will it be. For by thy faith will America be made whole. By the faith of Almighty God in you, I have come. Therefore, take and seize the mantle of your responsibility as Elisha seized the mantle from Elijah. Seize it now! Wield your mantle of authority and prove to the Almighty One that his faith in you is not ill-placed. For you will carry the faith of Archangel Michael and keep on keeping on, looking neither to the right nor to the left but knowing with absolute conviction that no matter what besets you on the way, the Lord God will have his victory, the Lord God will have his day!